Floyd Mayweather Jr. vs. Conor McGregor, also known as "The Money Fight" and which has become "The Biggest Fight in Combat Sports History" ended few hours ago with Mayweather walking away with the TKO Victory. Mayweather, who officially announced his retirement after scoring a 10th-round TKO victory over Conor McGregor, was true to his prediction throughout the fight's build when he promised it wouldn't go the distance. He also stuck to his guns about standing in front of McGregor looking for a finish. The two men embrace in the ring. There’s clearly respect from Floyd - and no wonder, the rookie lasted 10 rounds with one of the great fighters. 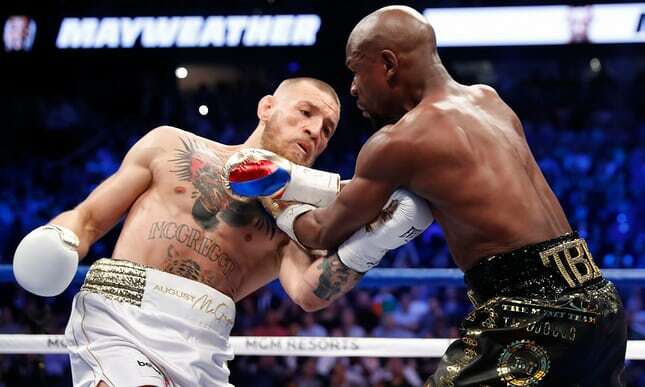 Conor lacked two things as the fight went on - his punches lacked bite and he just didn’t have the legs to last through a 12-round fight. McGregor, 29, who was making his debut as a boxer, never fought reckless or overly aggressive, in contrast to his prediction of a first-round knockout. What he did was present Mayweather with a poised and credible challenge, teasing a bright future in the boxing game should he consider it. "He's a lot better than I thought he was, He used different angles. He was a tough competitor, but I was the better man tonight. "We talked about how he's a tough competitor, and I think we gave the fans what they wanted to see. I chose a hell of a dance partner to dance with. Conor McGregor, you are a hell of a champion."